What was it that made you choose this venue? We have been to several weddings at the Greek Club and know their service is impeccable! I always knew I wanted my reception to be held at The Greek Club as the venue is perfect to cater for a big Greek Wedding! Did the menu help you make your decision? Of course! The Greek Club menu have such a wide variety of choices to choose from which made it an easy choice and they accommodated for everyone’s dietary requirements effortlessly. We were very happy! What was your favourite item on your wedding day? Everything about our day was perfection! I couldn’t have asked for anything more! Tell us about your decorations – what was there already, and did you incorporate anything new? I had planned a classic elegant look for the wedding and Katherine from The Greek Club suggested for me to see Athena from Celebrating in Style. Athena took care of everything for me and her attention to detail and understanding of the look I wanted to achieve, made the room everything I had dreamed of and more! What’s the most unique thing about the venue? The venue itself is what I love most! I love that it is such a blank canvas and you can really do whatever you like with the space to make your vision a reality! What challenges did you face on the day or in the lead-up, and how did the venue go above and beyond to help resolve things? Katherine at The Greek Club was amazing! She answered all my questions and did anything that she could do to make my wedding run seamlessly. she makes everything seem so effortless! I am so grateful! What’s the best piece of advice the venue gave you? And what’s the one thing you’d tell other brides-to-be considering this venue? Everyone at The Greek Club worked so hard to make our night as perfect as what it was and we were so grateful for everyone’s efforts! The venue treat your event with the passion as if it was their own and would do anything to make your night all you dreamed of and more! We didn’t have a particular date in mind when booking, all we knew was that we wanted to be married within 12 months so there were a few dates that we looked at and chose one that felt right! – if you have your heart set on a particular date, I’d recommend getting in early because it’s a popular venue! The most memorable feedback from your guests? 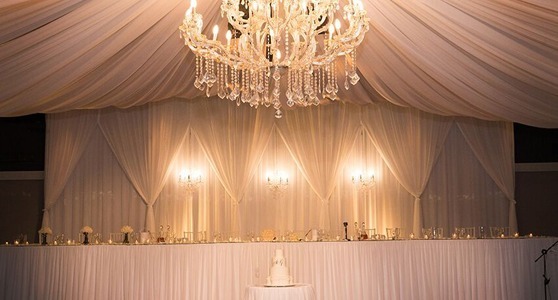 “Everything is perfect!” we imagined a room with candlelight, chandeliers and draping throughout the ceiling and backdrop. The idea was to keep it quite classic and elegant! Something we would look back on for the rest of our lives and love! Our photographer, Andrew Porfyri and our videographer, Mark Sipka, did an incredible job of capturing the room and all of our guests! They really showed all the love that was in the room on the night! Your most precious memory of the day?